Every day, many Americans find themselves in an unexpected new role. 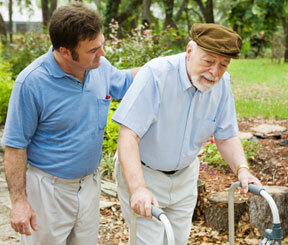 They become a family caregiver for a loved one suffering from chronic pain. 1. Learning about pain management. Taking an active role in helping to manage a loved one’s pain may help you feel more useful and worry less. 2. Caring for a person with pain. This includes making sure that patients receive proper assessment and follow their treatment plans. 3. Caring for yourself. Being a family caregiver can be a demanding job. Allow others to help provide a support system. 4. Advocating for all people in pain. The Cornerstones program strives to raise awareness about the importance of access to effective pain care. Learn more about Caregiver Cornerstones at www.partnersagainstpain.com.